For cleaning of flooring and P tile in building maintenance, office building, store and school etc., For cleaning of flooring and P tile in building maintenance, office building, store and school etc. This review is about item#7060934. You should not buy it as it is only frustrating. Before it gets wet, things like batter and cotton will dance in the air. I tried to wipe it wet for a while, but something like a fiber stuck on the floor and I was able to clean it instead of cleaning it. It was a waste of time. I will not buy it again. This review is about item#07060934. For daily cleaning of elderly welfare facilities. Purchased with other Monotauro brands. Quality is not a problem at all. It is cheaper than buying at a home center, there is no problem with the feeling of use and durability. I tried to clean the floor of the store, the thread is thick, it is hard to fight and is a nice feeling. Price is also cheap and very satisfied! 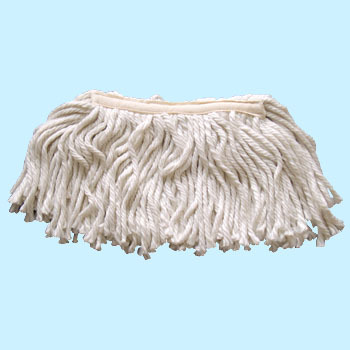 The width of the thread width was small compared to the width of the handle of the mop, so the handle damaged the wall, so it was a product that was unwieldy to handle. I purchased it by replacing it. It is cheaply obtained and we are very satisfied. It is a bit thin.